Joshua Garcia's birthday wish for Julia Barretto: "Happy birthday to my Golden girl @juliabarretto Shinebright as you always have. You are destined for great and wonderful things. May this birthday be a special milestone leading to bigger things." ABS-CBN actress Julia Barretto celebrated her 20th birthday on Friday night, March 10 with her closest friends and family. Her birthday dinner was held at Sugar Factory in Bonifacio Global City, Taguig. Some of the attendees include her mom Marjorie Barretto, and sister Dani Barretto. 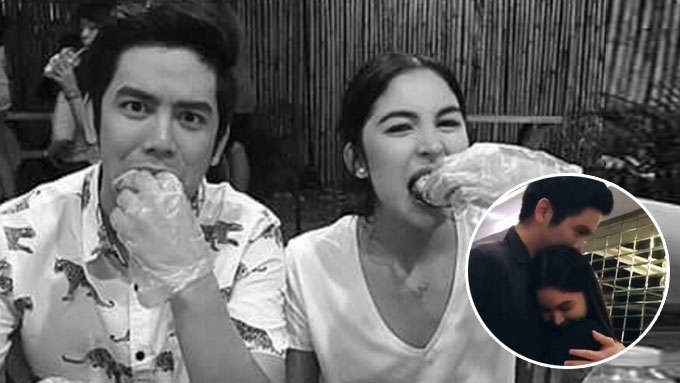 Julia's love team partner Joshua Garcia was also spotted in a video posted by Marjorie on her Instagram. Comedian Alora Sasam was also in attendance and caught Joshua's arrival on video which was posted on her Instagram stories. The former Pinoy Big Brother housemate came in with his gifts for the birthday girl: a bouquet of flowers and a pink stuffed animal. On Instagram, Joshua uploaded his photo with Julia and wrote her a heart-warming birthday message. Joshua's full caption: "Happy birthday to my Golden girl @juliabarretto Shinebright as you always have. You are destined for great and wonderful things. May this birthday be a special milestone leading to bigger things." In an interview with ABS-CBN, Joshua was asked if he's planning to court Julia anytime soon. However, the Kapamilya actor would like to focus on their career first. "Sa amin ngayon, focused kami sa binibigay na trabaho. Kasi sayang yung ibinibigay. Ang tagal naming hinintay ito. Siguro kung manligaw man ako, dadating yun sa tamang panahon. Hindi pa ngayon. Ipon muna bago ligaw." Joshua and Julia became a hit after pairing up for the Metro Manila Film Festival 2016 entry Vince & Kath & James. After the success of the film, it has been reported that another big project is in the works.